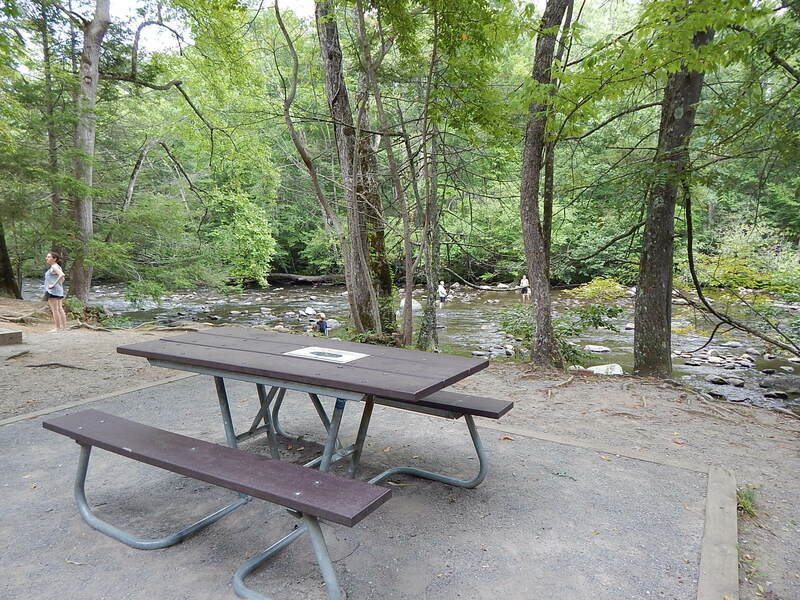 Looking for a great spot to picnic and gather together in the Smoky Mountains? Your first start should definitely be Metcalf Bottoms off of Lyon Springs road. 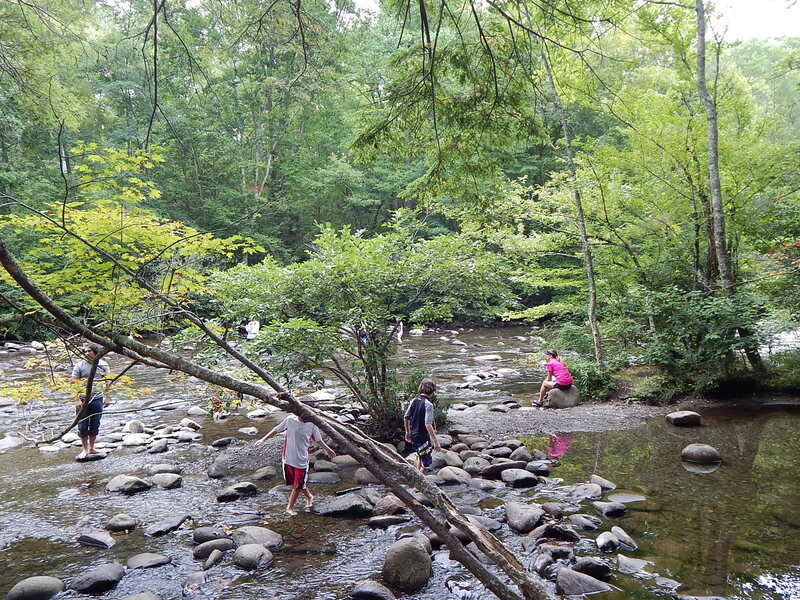 Simplicity at its best is what makes Metcalf Bottoms a popular visit for locals and visitors alike. It is simply a large pavilion surrounded by the natural greenery of the Smokies. The flowers bloom in great colorful supply during the Spring, the emerald glow of the spirit of the mountains welcomes you in during the Spring, the changing leaf colors simply dazzle you from one end to the other during the Autumn, and the white canopy of snow adds a quiet dignity that is trademark of the Smokies during the Winter. There is ample parking space, outdoor grills, and room enough for 70 people. Or any other group activity you can think of that can put you closer to nature!